Miami 1959 – the Miramar Playa Hotel is the place to be as the Kennedys, the mob and the CIA hold court. Owner Ike Evans has sold his soul to finance his dream and his world is threatening to implode. This lavish new series starring Jeffrey Dean Morgan and Danny Huston recreates perfectly this magical period of US history. The action plays out to a fabulous collection of songs from the era with ten of the most outstanding tracks gathered here alongside Patti Austin’s revisiting of Tenderly, in her role as Ella Fitzgerald. From the Latin sounds of Tito Puente and Beny More to the teenbeat of Frankie Avalon, the music captures the moment magnificently. All wonderfully capped by Ray Charles’ haunting version of Moon Over Miami. 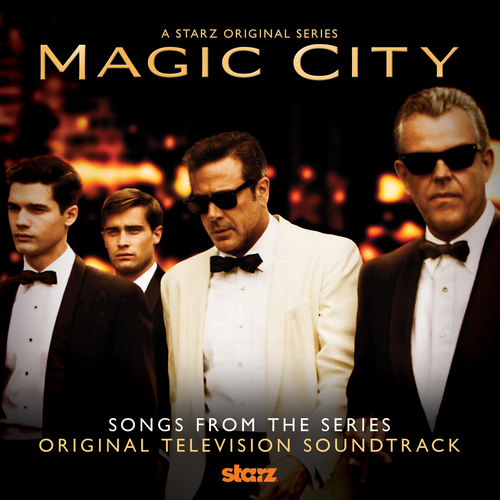 Unfortunately at this time we can't offer all the Various Artists - Magic City (Soundtrack from the TV series) tracks as individual flacs, as some of these tracks exceed the shops maximum (20mins) download length.